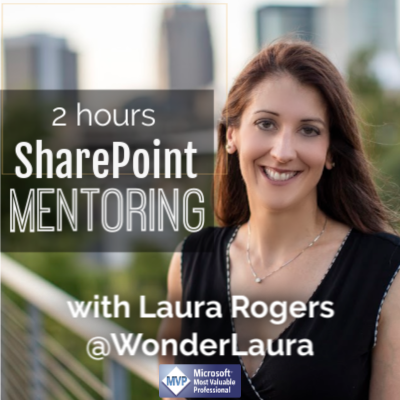 Laura Rogers is a SharePoint, PowerApps & Flow expert, speaker, author and educator. She is well-versed in helping organizations make the most of their SharePoint environments using out-of-box functionalities such as workflows, forms and Web parts. 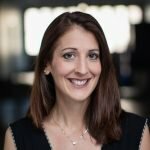 Laura’s technical expertise also includes over 12 years of experience working with Microsoft’s messaging and collaboration systems. She has been named a Microsoft Most Valuable Professional (MVP) for the past eight years. She has contributed to several books on SharePoint over the past ten years. You can read more about Laura’s experiences on her blog, www.wonderlaura.com. At IW Mentor, we provide training and consulting on SharePoint and Office 365 to information workers and knowledge managers around the world. We often have customers who need a bit of personalized guidance beyond what are training courses provide. That is why we want to offer a few MicroJobs for the support requests we hear the most. For this 1-hour MicroJob, I will help you with logic in your PowerApps forms. We will use this hour to jump on a video call together, using Skype for Business or Teams. During this call, you can ask me questions about any of your business requirements, or anything that you are stuck on in your form. I can help you with your own form, or I can provide an hour of personal training, about common ways to use logic in forms in PowerApps. In addition to this guidance, you will also receive a $30 credit, to use on our IW Mentor training site, to apply to any training that you’d like.